Also as mentioned in #FeedTheMovement, “100 skilled warriors fighting without unity will surely lose to 100 weaker soldiers who are fighting as a team with a unified purpose. Those same 100 skilled warriors fighting their own separate battles without a strong leader will also lose to a weaker army lead by a skilled and powerful general.” Currently, there are over 100 very strong eaters around the world all doing “their own thing” and nobody is really working together. There is one thing that we are all doing together though, and that is not making any real money or new opportunities for ourselves. You can wish for change in one hand, and steadily place spare change in the other, and we all know which hand will fill up faster. That is why we all need to work together as one unified community. There can only be one “movement” and you are reading about the one that will WIN right now on FoodChallenges.com. Whether you commit now or learn the hard way later, you will come to find out that if you are not on our team, you are definitely on the wrong team. The first people to the buffet get the best selection and the best opportunity to grab the most food, so you should join the team NOW!! After reading the first few sentences of the paragraph above, you are probably wondering who will be leading Team #FeedTheMovement. The purpose of this article is to give the credentials of FoodChallenges.com owners Randy Santel (“Atlas”) and “Magic Mitch” Dombrowski who got Team #FeedTheMovement started. Before continuing, please make sure that you have read About Us to learn more about our history and timeline. – Randy Santel*- First and foremost, I have been learning as much as possible about food challenges, nutrition, and competitive eating since starting back in 2010. I spent countless hours creating my initial website RandySantel.com which was the very first website dedicated to helping people learn basic food challenge and competitive eating tips and strategies. There have never been any places or people I could really go to for help, tips, or advice. Everything I have learned has been self-taught through hard work along with a ton of trial & error. I created FoodChallenges.com so that other eaters don’t have to go through what I had to, and thus far I have not earned a dime. I also created an entire 59 article section teaching restaurant owners and marketers how to create and promote new food challenges because I am tired of watching small restaurants discontinue terribly designed challenges and close down due to poor marketing. I spent 7 months of 2013 raising the money to fund the initial development and expenses required to get FoodChallenges.com up and running. At the end of 2013, I left my construction job, sold every non-essential thing I had in my very nice 2 bedroom apartment, and moved home with my family to live off less than $300 per month and get the website going. Over $20,000 dollars has been invested into getting the site up & running and that does not include my own man hours. The public use of FoodChallenges.com is free and always will be, and we did not create it with making money as the main goal. Nobody is more passionate or as qualified as I am to lead the “movement” and there is nobody else more willing to do everything it will take to make things happen!! Thank you for checking out our website!! * Randy’s resume (updated 9/2/2015) – Since March 2010, I have over 285 food challenge WINS in 8 countries and 22 states around the USA. All my food challenges can be watched via my YouTube channel. I am currently the ONLY person in the world who publicly teaches in-depth food challenge and competitive eating advice. – Mitch Dombrowski – Mitch has been working with me since March of 2013. He has edited and produced almost every Randy Santel YouTube video that we have uploaded since then. Mitch is the Director Of Media Production for our company who is in charge of shooting, editing, and producing all videos used by FoodChallenges.com. Mitch also firmly believes in the “movement” and has been “all in” along with me since getting back from our European tour in late 2013. In addition to taking care of all video work which will play a major role in our marketing campaign, he helps with Search Engine Optimization (SEO) and all of our social media efforts. 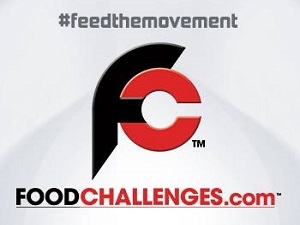 Thanks for reading about the leaders who started Team #FeedTheMovement & using FoodChallenges.com! !